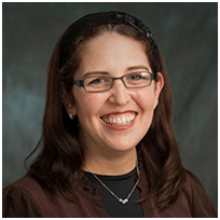 Shoshana Schechter is assistant professor of Bible at Stern College for Women and the director of the Mechina program. A graduate of Stern College, with a B.S. in both Judaic Studies and English Literature, Prof. Schechter also teaches Tanach and English at Ateres High School in Rockland County, New York. She holds masters degrees from Bernard Revel Graduate School of Jewish Studies as well as from Columbia University School of Journalism. She is a frequent lecturer on topics in Tanach and has been involved in Jewish outreach programs on four continents. She lives in New Hempstead, New York with her husband, Yitzchak, and five children.